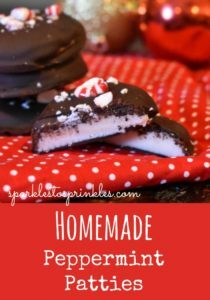 These Homemade Peppermint Patties are such a delicious treat that you that you really need to consider making. Up until making this recipe I had no idea how easy to make and how delicious homemade peppermint patties are. 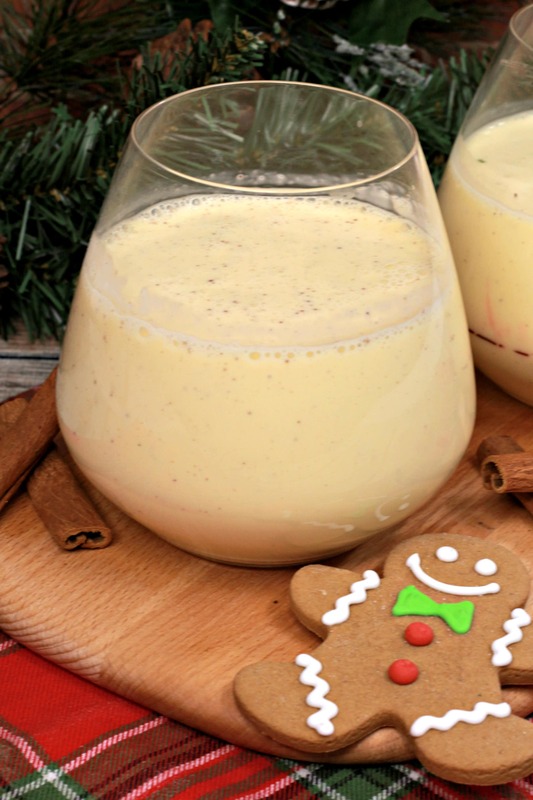 I have a lot of recipes and holiday gift ideas on the blog this holiday season. 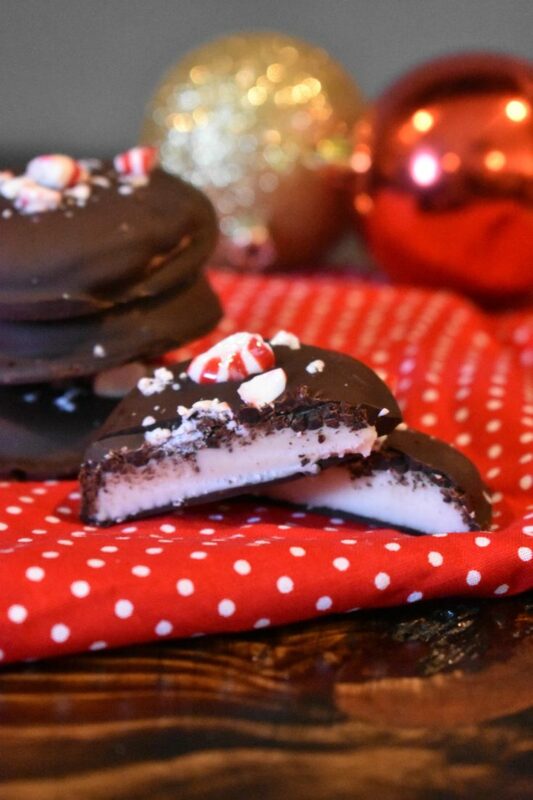 These homemade peppermint patties are the perfect accompaniment for many of them. One way or another find a reason to make these delicious little goodies and enjoy some yourself. 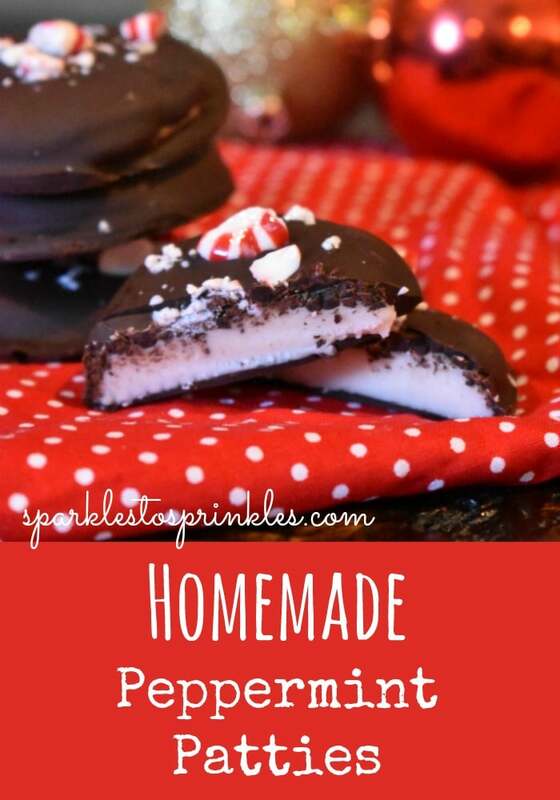 Delicious homemade Peppermint Patties are so easy to make you are going to wonder why you have not made them before. 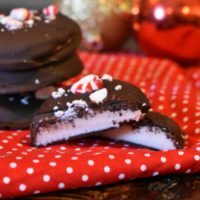 Made these as a delicious holiday gift. In a large bowl mix together sugar, milk, syrup, coconut oil, and extract. Once a dough forms, sprinkle 1 cup powdered sugar on a clean counter and place the dough on top. Gently knead the dough until all the powdered sugar is gone and the dough is no longer sticky. Wrap dough in cling wrap and refrigerate for about 3 hours or overnight is best. Once the dough is chilled, roll out the dough with a rolling pin to roughly ¼ inch thickness. Use a cookie cutter of your choice to cut our circles and place them on parchment. Melt the chocolate in a microwave safe bowl for 30 second intervals until completely melted. Let cool for about 3 minutes and then gently dip each patty in the chocolate and remove with a fork, if needed, use a butter knife to help place the patty back on the parchment. Top with crushed peppermint if you would like, and leave the chocolate to harden.